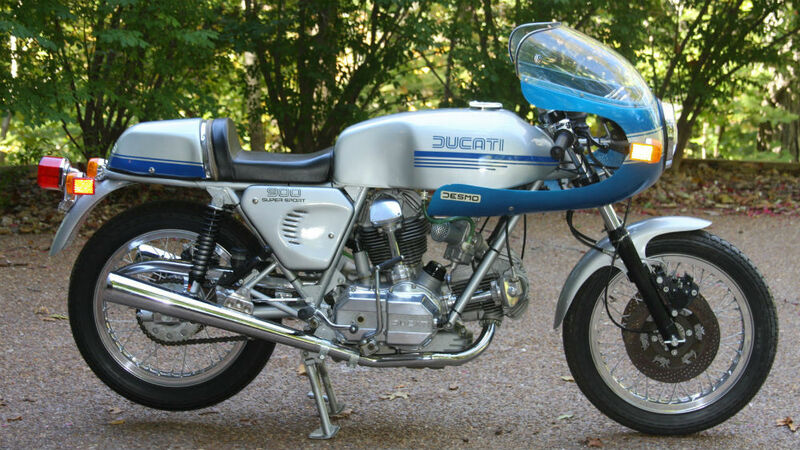 Of all the Seventies superbikes, the Ducati 900SS is one of the most pure of purpose. Unburdened by such fripperies as an electric start and pillion seat, the 900SS roars 'race-bred' - every bit as loudly as its Conti pipes! Ducati's iconic desmodromic valve-gear took pride of place in the 900's V-twin engine. It solidly piled on the revs - sufficient to produce a very healthy 132mph. And yet such technical prowess seems almost to fade into the shade, in the light of the bike's visual virtues. Achingly pretty - in terms of styling, the Ducati 900SS is probably beyond compare!